Courtesy of Century 21 Mission, Carol Corrigan. Simply Spectacular! Turn-key ready home in gated Village Crest! 5 beds, 3 full baths w/one bed and bath on main level, HUGE 1/2 acre lot – lots of trees and all usable, VERY nicely maintained, big island kitchen, BRIGHT with lots of big windows, family room with fireplace, LARGE textured patio with cover for plenty of shade, mature and gorgeous landscaping, PAID solar system little or no electric bill, master suite with 2 closets , dual sinks, shower. Extra Large Bedroom up stairs with bath access. Please, send me more information on this property: MLS# 190019936 – $669,000 – 1201 Calle Sonia, Fallbrook, CA 92028. 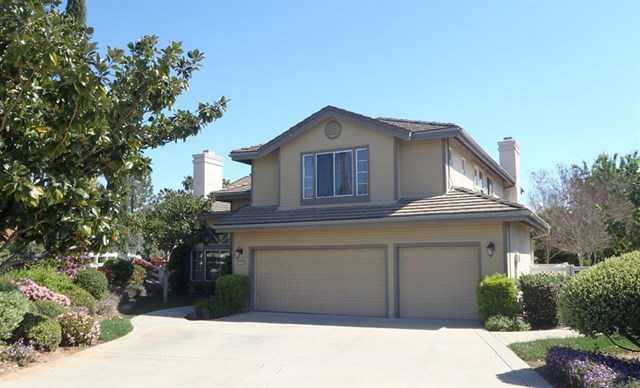 I would like to schedule a showing appointment for this property: MLS# 190019936 – $669,000 – 1201 Calle Sonia, Fallbrook, CA 92028.